This report covers a through analysis about foreign exchange division of Shahjalal Islami Bank Limited. First part of this report is about the organization followed by the details of foreign exchange division. Foreign Exchange Division plays significant roles through providing different services for the customers. Letter of Credit is the key player in the foreign exchange business. With the globalization of economies, international trade has become quite competitive. Timely payment of exports and quickly delivery of goods is, therefore, a pre-requisite for success of international trade operation. To ensure this purpose Shahjalal Islami Bank Limited transmits through SWIFT to the advising bank. Problems identified in Foreign Exchange Division are inadequate human resources, excessive workload, low salary relative to other private bank, insufficient knowledge about IT and English, lack of data base networking in information technology system and space shortage. 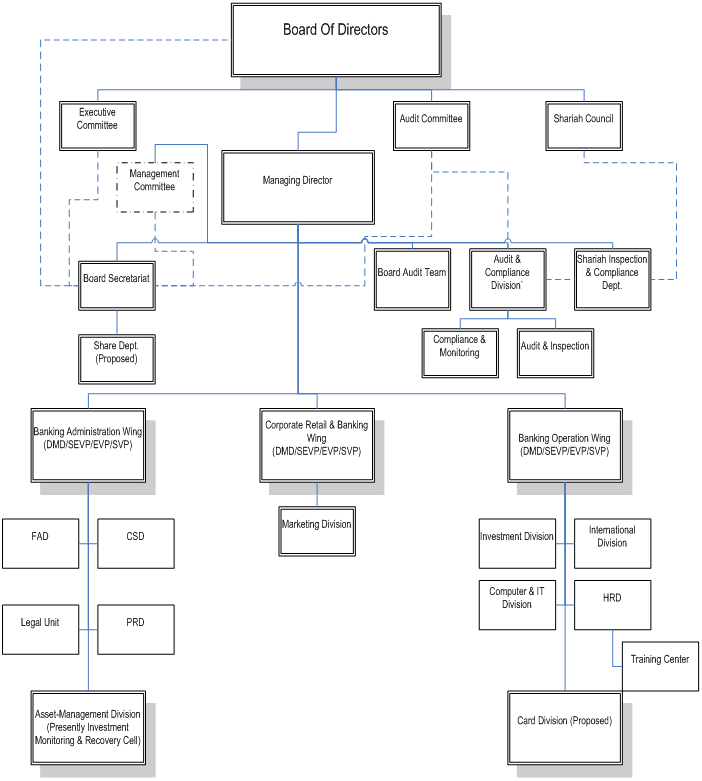 By knowing these, it may be possible to develop the condition of Shahjalal Islami Bank Limited. Bachelor of Business Administration (BBA) program consists of integrated theoretical and practical method of teaching. In fact practical orientation with day-to-day activities of an organization is one of the most important requirements of BBA program. To fulfill this purpose I was sent to Shahjalal Islami Bank limited (SJIBL), Foreign Exchange Branch as an intern in this regard under the supervision of one supervisors one is internal from the educational institute World University of Bangladesh. The paper will deal with the “The Foreign Trade of Shahjalal Islami Bank Limited”. On the basis of working experience for internship period I have prepared this report and I have tried my best to relate the theoretical knowledge with the practical work situation. v To know about the Foreign Trade system. v To know the performance of foreign trade activities of SJIBL. The focus of the report will be on Foreign Exchange functional areas of Shahjalal Islami Bank Limited. To meet the objectives of the study I realized that a single method would not be effective. Formal & oral discussion, direct observation & printed papers of the Bank were found useful. 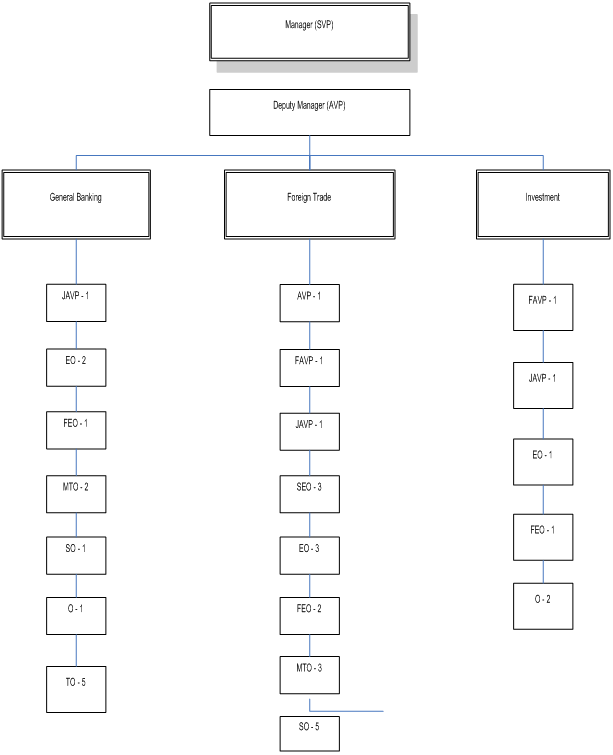 To collect the necessary and meaningful information the following methods were applied. Both primary and secondary sources were used in here. Face-to-face conversation with the respective officers and staffs of the Branch. Practical work experience in the different desks of the departments of the Branch covered. Annual Report of Shahjalal Islami Bank Limited. Web site of Shahjalal Islami Bank Limited. Different ‘Procedure Manual’, published by Shahjalal Islami Bank Limited. This report is divided into two major parts. 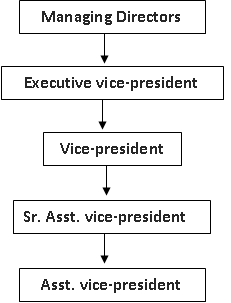 One is organizational part and another is main assigned part. Chapter 1&2 uncovers Organizational part, that mainly focuses on the reason why this report is done and also consist of limitation, scope and overview of the organization that goes comprehensive idea about SJIBL by covering the issues like; background of the bank, mission and vision of the SJIBL, corporate profile, organizational structure, function of SJIBL, branch network, performance and growth of SJIBL. Due to confidentiality of the data, adequate data were not available. The study may not be done very successfully due to inexperience. On our schedule time we could not find the respondent. Because they were busy with their work on that time. and international seminars/workshops to mobilize local and foreign people and attract investors to come forward to establish Islamic bank in Bangladesh. Their professional and right-thought activities were reinforces by a number of Muslim entrepreneurs working under the aegis of Muslim Businessman Society (MBS). The body concentrated mainly in mobilizing equity capital for the emerging Islamic bank. Due to continuous and dedicated work of the above groups and individuals and active support from the Government, Islamic banking could be established in early eighties. Islamic banks have been operating in Bangladesh for about one and half decade alongside with the traditional banks. Out of over 39 banks only five banks (including one foreign Islamic bank) and two Islamic banking branches of a traditional bank, Prime Bank Limited (PBL) have been working on Islamic principles. Like any other traditional commercial banks, they do mobilize deposits and produce loans. But their modes of operation, based on Shariah, are different from the other traditional commercial banks. Though there is no complete Islamic Banking Act for controlling, guiding and supervising the Islamic banks in Bangladesh, some Islamic banking provisions have already been incorporated in the amended Banking Companies Act, 1991 (Act No. 14 of 1991). Bangladesh Bank did not set up any separate Department at its Head Office to control, guide and supervise the operation of the Islamic banks. Inspection and supervision of the Islamic banking operations are conducted by the Bangladesh Bank as per the general guidelines framed for the conventional banks. So, ensuring implementation of Shariah principles in the Islamic banks are being conducted by their own Shariah Councils. The role of Bangladesh Bank in controlling, guiding and supervising the Islamic Banks in Bangladesh in accordance with Islamic Shariah is very minimal. In observing the Shariah implementation status of the Islamic banks, Bangladesh Bank examines only the report of the respective banks’ Shariah Councils. Recently Bangladesh Bank try to establish separate team/division for control, guideline, supervise & monitor the Islamic banks in Bangladesh. However, the inspectors and supervisors of Bangladesh Bank are not equally familiar with the technicalities of the different operational methodologies of the Islamic banking. This is because of the fact that there is no separate Department to look into this important matter. International Journal of Islamic Financial Services Vol. 2 No.1 A committee of experts set up by the Governors of Central Banks and Monetary Authorities of the OIC countries examined the whole range of relationships between the Central Banks and the Islamic Banks and submitted a report in 1981 on the “Promotion, Regulation and Supervision of Islamic Banks”. The report highlighted the need to provide for central bank assistance to the Islamic banks on a basis compatible with the Shariah. The report also discussed many monetary aspects such as liquidity requirements, reserve requirements, supervision of Islamic banking activities, and fiscal treatment of income from participation, ownership, capital requirements, and the maintenance of sound relationships between capital, reserves and total assets. The report recommended the fostering of interest-free financial instruments to enable the Islamic banks to meet the statutory liquidity requirements of the central banks. From the viewpoint of Islamic Shariah, in order to be justified islami thought the banking system has to avoid interest. Consequently, financial intermediation in Islamic banking between the bank and the client takes place as a partner rather than a debtor-creditor. The financial activities of modern conventional banks are based on a creditor-debtor relationship between depositors and bank on the one hand and between the borrower and the bank on the other. Interest is regarded by conventional banks as the price of credit reflecting the opportunity cost of money. As interest is prohibited in Islam, commercial banking in an Islamic framework could not be based on the creditor debtor relationship. The other aspect of the theoretical basis of Islamic banking is that the interest free bank is not risk free. This principle is applicable to two main factors of production, i.e. labor and capital. According to this principle, as no payment is allowed to labor, unless it is applied to work, no reward for capital should be allowed, unless it is exposed to business risk. To be the unique modern Islami Bank in Bangladesh and to make significant contribution to the national economy and enhance customer’s trust & wealth, quality investment, employees’ value and rapid growth in shareholders’ equity. To set high standard of integrity. To ensure maximization of shareholders’ equity. To extend our customers innovative services acquiring state-of-the-art technology blended Islamic principles. To ensure human resource development to meet the challenges of time. Shahjalal Islami Bank Limited offers services for all banking needs of the customers, which include deposits, making loans & advances, discounting bills, conducting money transfer and foreign Trade transactions and performing other related services such as safe keeping, collections, issuing guarantees, acceptances and letters of credit. Legal Form A public limited company incorporated in Bangladesh on 1st April 2001 under the companies Act 1994 and listed in Dhaka Stock Exchange Limited and Chittagong Stock Exchange Limited. Auditors M/S. Hoda Vasi Chowdhury & Co.
Tax Advisor M/S K.M Hasan & Co.
attitude of the whole mankind escalating with time revolution. Everyone has a vision of such a life and status. To fulfill such a vision, it needs possessions, prosperity, fortune, prudent deposit and consistent investments. Unfortunately, the Banks did a few to be a prosperous, service oriented, technology based banking. Shahjalal Islami Bank Limited is committed to fulfill the requirements of the mass people. Shahjalal Islami Bank Limited is patterned of Islamic norms & ethics with modern technology to achieve the goal in the new era. Humanitarian perfection, Economic progress, Assistance & service to the mass people are the basic objectives of Shahjalal Islami Bank Limited. Al matters relating to the principles, rules and regulation, ethics etc. 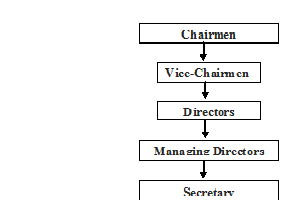 for operation and management of the bank are recommended by the committee to the board of directors. 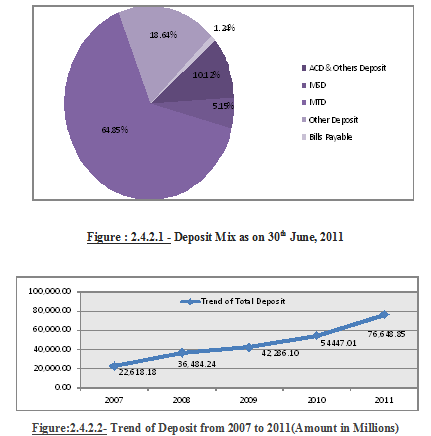 Table 01: Deposit Mix as on 30th June, 2011. Total equity of the bank as on 31.12.2007 was Tk. 3040.88 million and the total equity stood at tk.4069.09 million on 31.12.2008, which was13.81% of the risk weighted Assets as against the requirement of 10.00%. The core capital was 12.24% of Risk weighted Assets as on 31st December 2008 as against requirement of 5%. The Board of Directors of the bank consists of successful distinguish personalities emerging from area of trade, commerce and industries. The bank conducts it’s business and operations under the policy, directions and guidelines of the Board. The bank has also a Shariah Council consisting of prominent Faquih, Economists, Lawyers, Bankers to advise and guide the Board and the Management of Shariah matters relating to the business and operations. Under the table guidance of the Board of Directors and the Shariah council, the professional management team carries out the business operation of the bank, ensuring good governance practicing sound, best corporate and risk management process. The result that was achieved by the bank so far is due to the constant guidance, cooperation and support of the Board and Shariah Council and devoted, dedicated and hard work of the management team and all functionaries of the bank. 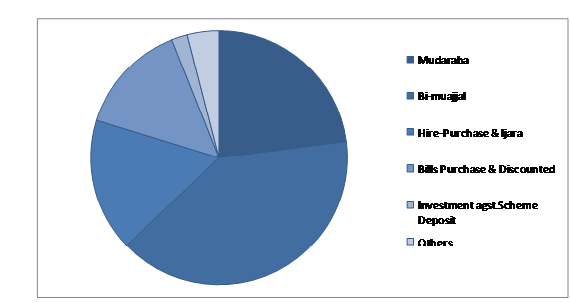 Total income of SJIBL mainly derives from two important sources; investment income and non-investment income. Non-Investment Income Total Non investment income of the bank as at 31st December 2008 was Tk. 856.49 million as against Tk. 517.43 million of the preceding year registering 65.53% growth over last year, which was 16.20% of the total income compared to 14.42% of 2007. 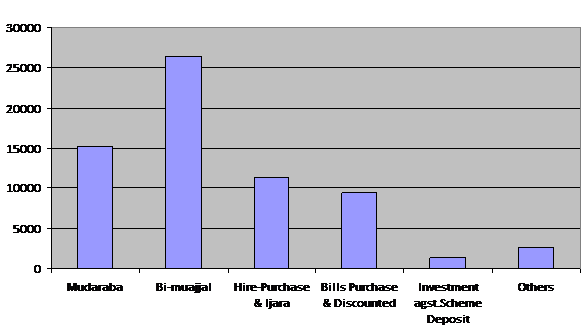 Total expenditure of SJIBL mainly derived from two important sources; profit paid on deposit and operating expense. Profit Paid on Deposit: Bank distributed profit of Tk. 4,657.92million among the Mudaraba Depositors in the year 2010 against Tk. 4,200.28 million in the year 2009 which is 61.93% of the Investment income earned from deployment of Mudaraba Fund and 77.89% of total expenditure of 2010 against 82.75% of 2009. Operating Expenses: Total operating expenses as on 31.12.2010 was Tk. 1,322.25 million as against Tk 875.60 million of 2009, Which was 22.11% of the total expenditure of the year 2010 against 17.25% of 2009. Table 04: Operational performance of SJIBL FEx. Br. v Risk of non-delivery of goods. v Risk of receiving sub standard goods. v Risk of fraud in goods. The Bank has been providing services to import and export trade and for repatriation of hard-earned foreign exchange of Bangladeshis living and working abroad and has, by now, consolidated its position in these areas. v Industrial raw materials for own use of industrial importers (including back-to-back imports discussed later in the section) on up to 180 days usance basis. SJIBL issues a Back to Back L/C and forwards the same to ‘Y’ Textile Ltd. through another Exporter Bank. Lenny Fashions Ltd. submits his Export L/C with a request to SJIBL FEx. Br. to create lien against L/C and issue Back to Back L/C in favor of ‘X’ Textile Ltd. The other type of L/C facility offered by this branch is Export L/C. Bangladesh exports a large quantity of goods and services to foreign households. Readymade textile garments (both knitted and wove), jute, jute-made products, frozen shrimps, tea are the main goods that Bangladeshi exporters exports to foreign countries. Garments Sector is the largest sector that exports the lion share of the country’s export. Bangladesh exports most of its readymade garments products to USA and European Community (EC) countries. Bangladesh exports about 40 % of its readymade garments products to USA. Most of the exporters who export through this branch are readymade garment exporters. They open L/Cs in this branch to export. Their goods, which they open against the import L/Cs opened by their foreign importers. v Export Registration Certificate (ERC): The exports from Bangladesh are subject to export trade control exercised by the Ministry of Commerce through Chief Controller of Imports & Exports (CCI&E). No exporter is allowed to export any commodity permissible for export from Bangladesh unless he is registered with CCI&E and holds valid ERC. The ERC is required to be renewed every year. The ERC number is to be incorporated on EXP (Export) Forms and others documents connected with exports. v Securing The Order: Upon registration, the exporter may proceed to secure the export order. This can be done by contracting the buyers directly through correspondence. v Signing Of The Contract : While making a contract, the following points are to be mentioned: a) Description of the goods; b) Quantity of the commodity; c) Price of the commodity; d) Shipment; e) Insurance and marks; f) Inspection, and g) Arbitration. v Procuring The Materials: After making the deal and on having the L/C opened in his favor, the next step for the exporter is set about the task of procuring or manufacturing the contracted merchandise. v Registration of Sale: This is needed when the proposed items to be exported are raw jute and jute-made goods. 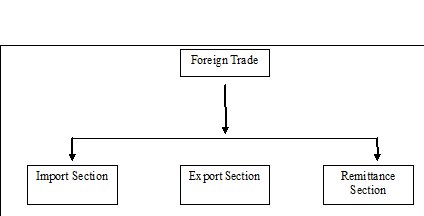 v Shipment of Goods : The following documents are normally involved at the stage of shipment: (a) EXP From, (b) photocopy of registration certificate, (c) photocopy of contract, (d) photocopy of the L/C, (e) customs copy of ERF Form for shipment of jute-made goods and EPC Form for raw jute, (f) freight certificate from the bank in case of payment of the freight if the port of lading is involved, (g) railway receipt, berg receipt or truck receipt. v Time stamp the letter/cable/telex requesting amendment of the LC. v Take out the work card and LC folder. v Verify the signature on amending letter/test number on tested amending telex/cable with Test Key. v Review the LC amending letter/cable/telex for their clarity, completeness and conformity with the existing rules and regulation/sale contract, etc. v Record all particulars of amendment in the LC Advising Register and all other documents/papers connected with the LC. v Obtain Head Office approval in case of amendment of confirmed LC involving amount or expiry date. v Prepare LC amendment form and promptly advise the beneficiary and issuing bank. v Check and obtain official approval signature before dispatching amendment advice. 1. Contact with us, ask for exchange rate and know how much you need to pay. Deposit the money to Barclays Bank-Kushiara Finacial Services Ltd, A/C No: 20651079 Sort Code: 202178. 2. Certificate copy of Bank or Building Society Statement or Utility bill (gas, water, electricity) within three month. 3. All transaction is authorized under the money laundering regulation. Kushiara has all necessary licenses to carry out the financial service business it offers. 1. Ones deposit the money at any Western Union Agent location and get a receipt with MTCN. 2. He/she then informs to persons for the amount sent (sender name, amount, sending country, receiver name and MTCN). 3. Just go to the nearest Shahjalal Islami Bank Branch with a valid identity card. Fill a simple form and receive the money.